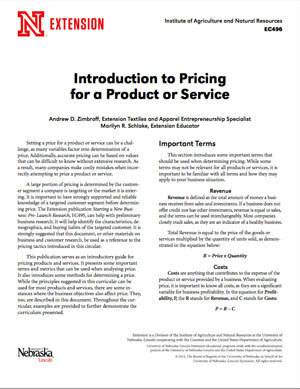 This publication serves as an introductory guide for pricing products and services. It presents some important terms and metrics that can be used when analyzing price. This guide includes examples that will further help in identifying the correct price for your product or service.